Kyoto, 2008 issue of silver proof colorized 1000 yen coin by Japan Mint, from Japan 47 prefectures series. 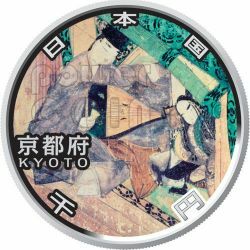 Obverse design: Scene 3 of Yadorigi, Chapter 49 of "The Picture Scroll of the Tale of Genji (National Treasure of Japan)". The Tale of Genji was written one thousand years ago by Murasaki Shikibu. 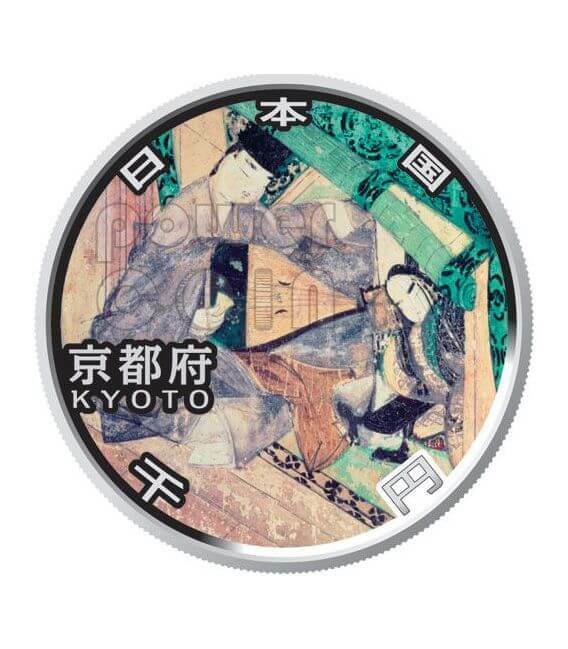 It is the most ancient surviving full-length (54 chapters) novel. 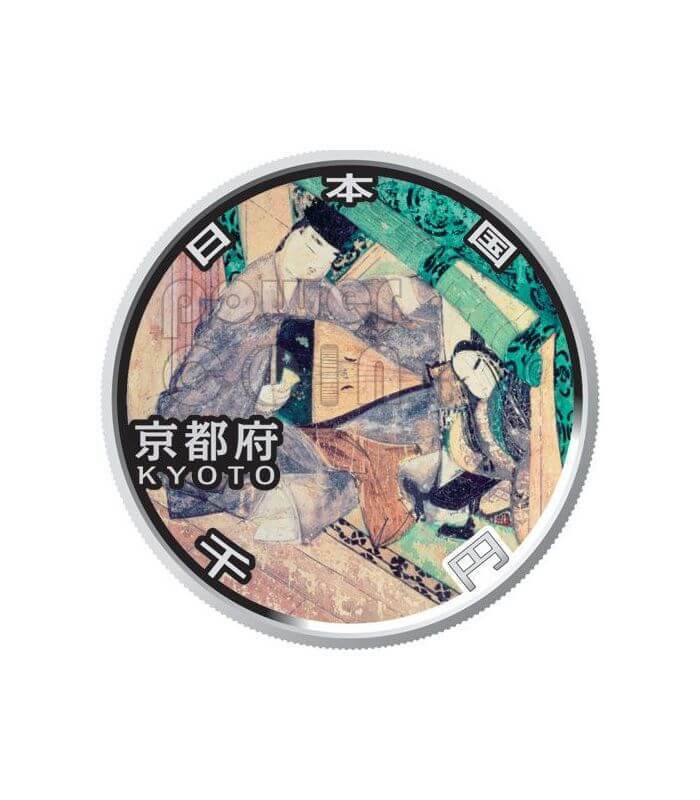 The story unfolds around the hero, Genji, depicting daily life and affairs among aristocrats in the Heian Period (794-1185). To mark the 60th Anniversary of Enforcement of the Local Autonomy Law, the Japan Mint launched "Japan 47 Prefectures Coin Program" in 2008. 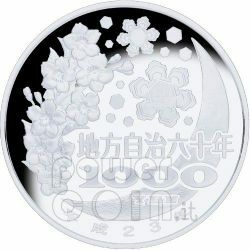 In this program, will be issued silver colorized coins of 47 prefectures in Japan for several years (an 8-year series). 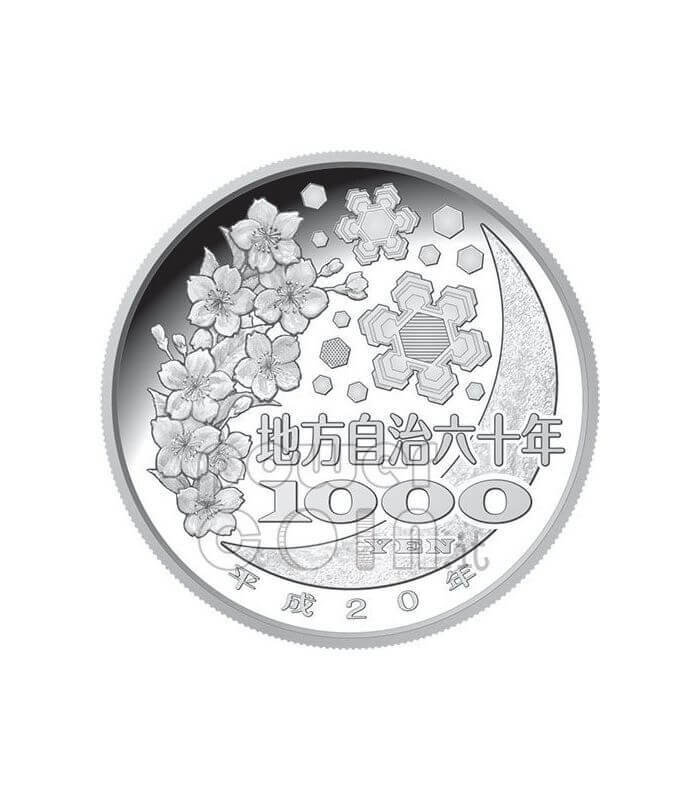 Obverse is each prefecture's own design. 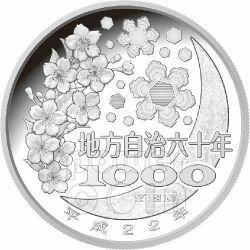 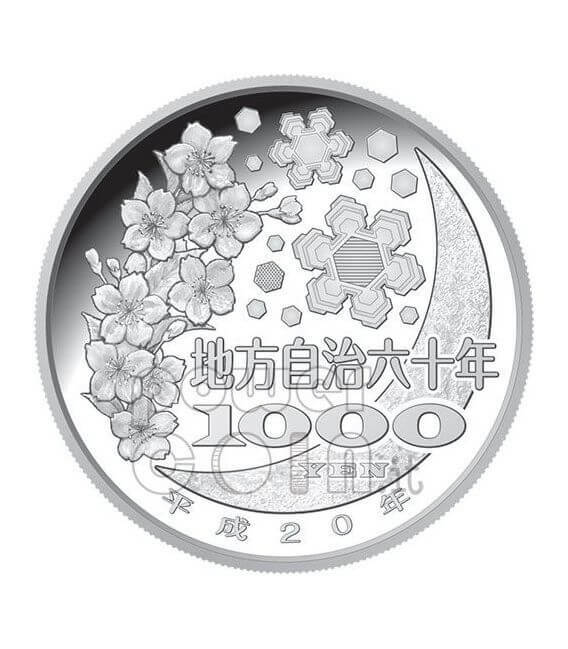 Common reverse design of 1000 yen silver coin: Snow Crystals, Moon and Cherry Blossoms.